When you apply for institutional Medicaid benefits in New York, Medicaid will look at your income and assets for the last 60 months (5 years). You might have heard that it’s just 3 years, but that changed years ago. It is currently 5 years. Medicaid looks to any uncompensated transfers during that period of time to see if you would otherwise be eligible but for those transfers. While some estate planning lawyers will focus on helping you set up your will or trust, the attorneys of Meyer & Spencer, PC can also help you carefully assess whether you may qualify for assistance with things like long-term nursing home care, should the need arise. Here’s why this matters so much for those facing retirement. You have saved $500,000 in retirement savings, cash assets and real estate. Between this, Social Security, and maybe a small pension, you may feel fairly secure in your retirement. You may even feel as though you could leave a little something to your children upon death. But if you should get sick and need a nursing home, you could end up paying cash rates for care, leaving you with little to nothing in just two or three years. Many seniors find out about the Medicaid eligibility rules when it’s too late – upon admission to a nursing home. At that point, these seniors may decide to give away their property by gifting a family home to an adult child, signing over bank accounts, and trying to gift valuable possessions, all in an attempt to qualify for Medicaid. The problem, naturally, is that Medicaid will look back five years and impute these assets to you, whether you have them or not. This means that although you no longer have the money to pay for care, you will also have no Medicaid funds. What Happens When Medicaid Denies You? One of two things will happen. 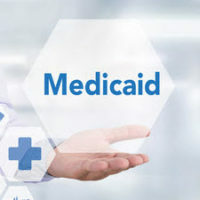 Either (a) Medicaid will deny you and you will not get the care you need, or (b) you will be subject to a penalty period equal to the number of months of care that you divested by giving away assets. During this penalty period, you and your loved ones will have to find the money somewhere. Often this means you will have to sell valuable assets like the family home, which otherwise could have been protected for future generations. There are two times you may be able to get help from an elder law attorney. Ideally, you should call at least five years prior to needing any long-term care. If you plan early enough, an elder law attorney can usually structure your estate plan in a way that avoids these types of problems. Trusts and carefully drafted powers of attorney can help. The second time is during a crisis. If you’ve waited too long, sometimes an elder law can use creative strategies to establish a trust designed just for the purpose of paying for the penalty period without losing all of your hard-earned assets. If you need help planning for long-term care in Pleasantville in the future, give the Westchester county asset protection lawyers at Meyer & Spencer, PC a call today.